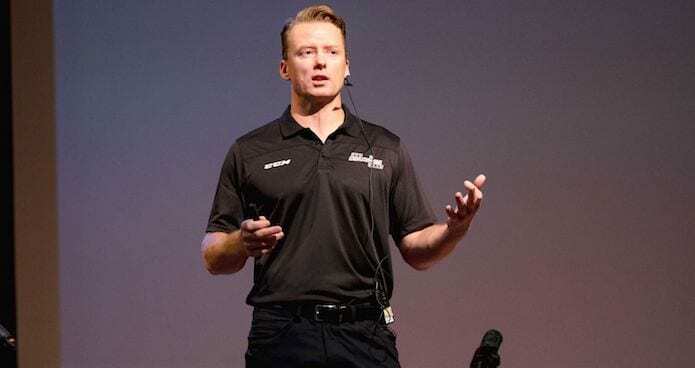 Former Calgary Flames head coach and current Edmonton Oilers assistant coach Glen Gulutzan delivered an ideal presentation for this month’s focus on defensemen. He’s been around the block now, with stops in Vancouver and Dallas, so Glen has seen a clear progression in National Hockey League D-men. Start your focus at the offensive blue line – getting your d-men to join the cycle, staying high with their heels in the neutral zone, and surveying potential breakouts and breaking them up. Keep the play alive and increase your offensive zone time. After that, work your way back towards your own zone. Stand up rushes in the neutral zone. Keep your gaps tight. Stay aggressive. And of course, the best formula for success at any level is encouraging your defensemen to join the rush. But don’t take our word for it, check out the trailer for Glen’s presentation below or watch the full premium video with a membership!